Our varied and exceptionally talented stars of 2018. Our growing foundation helped to alleviate the financial pressures that threatened their success. 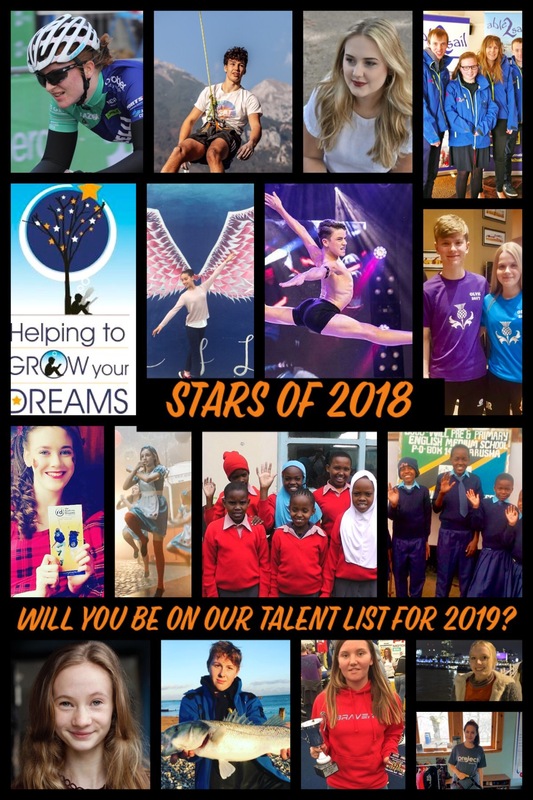 Could you make our Talent List 2019? 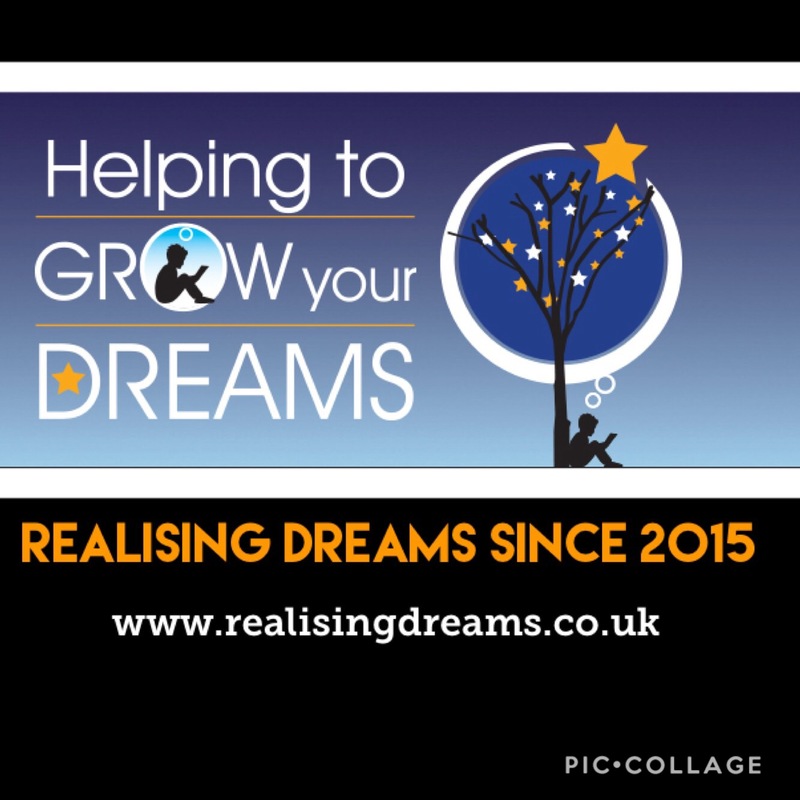 Apply today and we could help your dreams take flight? We’re on the look out for new talents we have not yet supported. Think you are exceptional, can show you stand out from the crowd but struggle to make a difference because of financial limitations? Then we could help. Go to our APPLY NOW section for more details. In 2018, we are proud to be celebrating three incredible years realising dreams! Why wait, apply today and see if we can help realise your dreams. Hold on to your dreams with our help and don’t let the beauty of your talents fly away like the fluttering of beautiful autumn leaves. Get in touch today. Kids grow up to become our next generation of citizens. Almost every child is full of ambitions and dreams with the potential to become extraordinary adults. Quite often all they need is for someone to believe in them and help to support their dreams. What an amazing olympic games in Rio 2016. Team GB did us proud and will have inspired a new generation of sportspeople. Could your sporting talents get you to the next Olympics and make you a role model for the next generation of sportsmen and women? We’d love to support your journey to the next Olympics. They don’t need to be summer dreams….they can be a reality! If you think you have the talent and ambition to make a difference in your life and the lives of others, we’d love to hear from you. Do you have what it takes to get to Wimbledon? Could you follow in the footsteps of this year’s British champions? 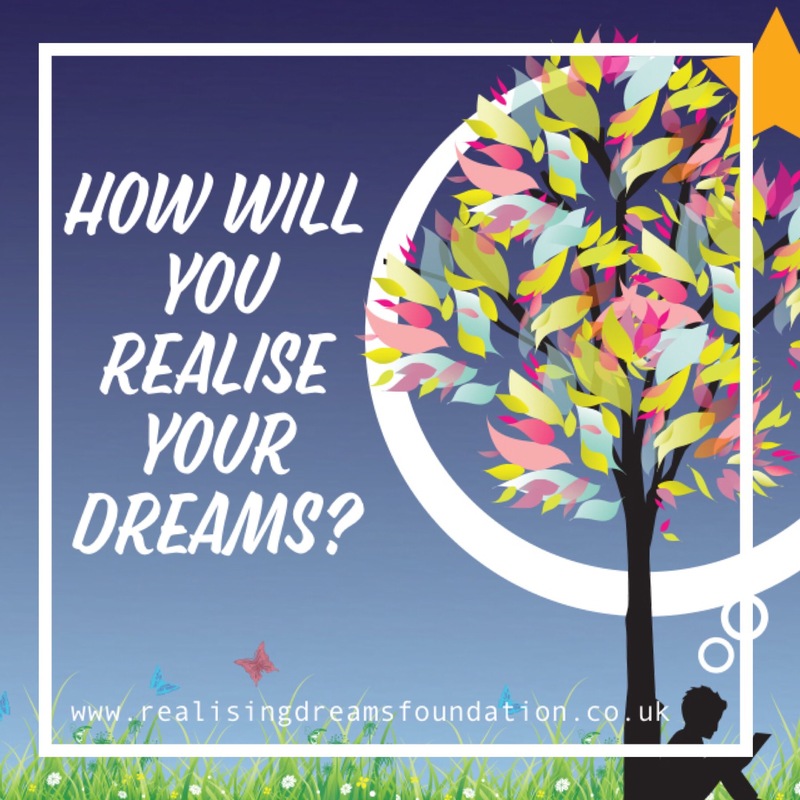 If you have the talent, drive and ambition, then the Realising Dreams Foundation could help get you there. Football is a loved sport all round the world. Do you have what it takes to become a professional footballer? If you have the skill, but need a little support to get you on the field, then get it touch. Wow! 2017 produced a huge and varied bunch of extraordinary young people – driven by their talent and desire to make a difference. What will this year bring? 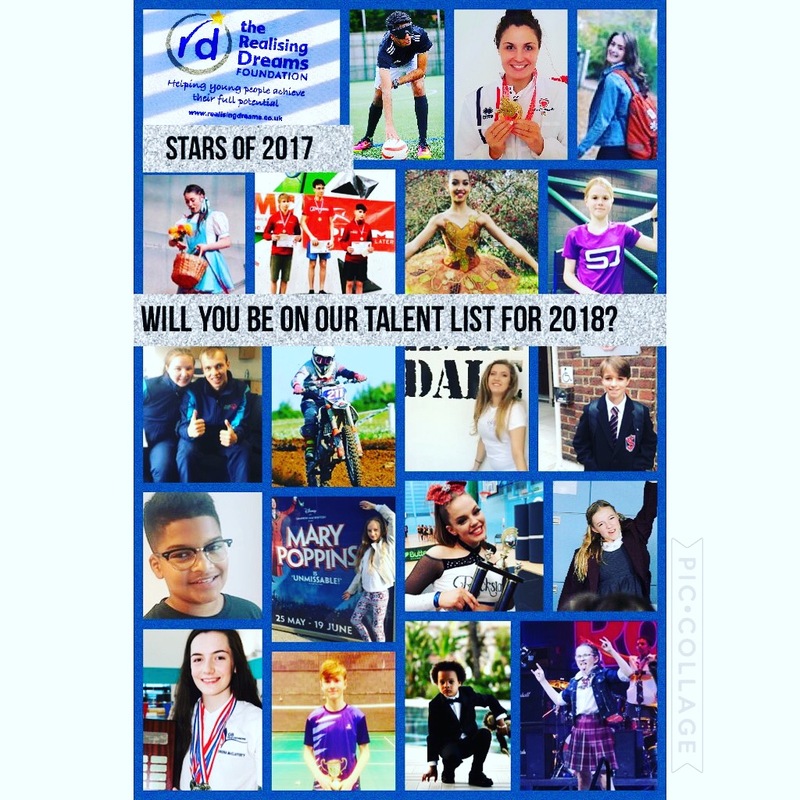 Who will make it onto the Talent List 2018? They don’t need to be blue sky dreams. With our help, your talent and your dreams can take flight. Realising Dreams at christmas time. Cycle your way towards your dreams. It may be a long road, but we can help.